After appearing to injure his finger or hand during the Saints' final preseason game, New Orleans has placed veteran running back Shane Vereen onto injured reserve. 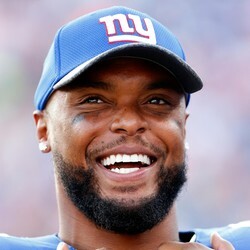 Vereen signed with the club back in July. Vereen, 29, is a one-dimensional satellite back who wasn't a good complimentary piece for the Saints talented pass-catching runners. Having never rushed for 400 yards in a season and scoring one total touchdown since 2015, Vereen is well off the fantasy radar.